A funny, romantic comedy. Harry and Sally explore what their friendship would be like if they became more then friends. 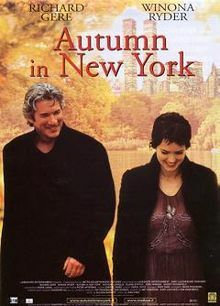 Set in New York it includes a beautiful scene in Central Park set in the Fall while the leaves are changing color. 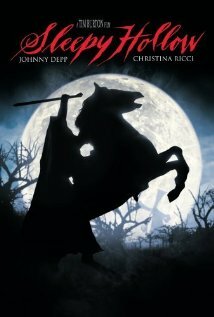 Ichabod Crane is sent to Sleepy Hollow to investigate the decapitations of 3 people with the culprit being the legendary apparition, the Headless Horseman. Fall is the best time to watch scary movies and this is the perfect one to curl up on the couch with after the kids have gone to bed. This is a romantic drama movie about an aging man who falls in love with a younger woman. A good movie to watch just for the scenery. Do you have a favorite movie you like to watch in the fall time? Comment below! "Stardust" because it's kind of Halloweeny. Also real Halloween movies like Harry Potter and Hocus Pocus. I love When "Harry Met Sally" too. Also, "You've Got Mail" is another good one. I love You've Got Mail! It does seem like most Meg Ryan movies are good to cuddle on a chilly night and watch them. Yes the classic Meg Ryan movies are the best! 'You've Got Mail' is definitely my favorite fall movie... I hope someone someday sends me a bouquet of freshly sharpened pencils. Haha you are so right about Sleepy Hollow! Definitely - When Harry Met Sally. Love that movie! I also love Sleepy Hallow! A fall movie that I always love to watch is October Sky. Can't wait to see your Halloween picks. I like all three of those movies - but I have to say when Harry met Sally is one of my favourites! !